The Pro Shop at Mountain View Country Club is now offering a fully stocked golf shop! We have accounts with most major golf companies and are in the process of adding to our selection. 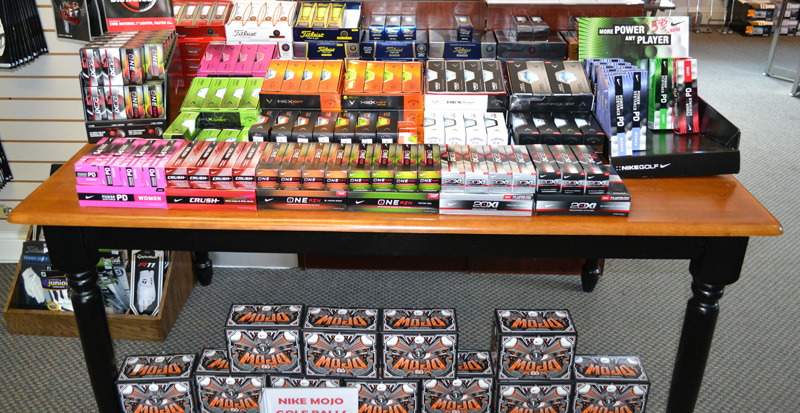 Currently, we stock Callaway, Nike and Titleist products. If we don’t have what you’re looking for, please ask the Pro Shop staff and we will do our best to locate your item of interest. For example, we carry a wide variety of Nike golf shoes in stock but if Foot Joy is your preference we will be happy to place a special order for you! We currently have a great selection of shirts, shorts, wind shirts, sweatshirts, rain wear, hats and gloves. We also have PennState, Pirates, Phillies and Yankee merchandise in stock. We also offer regripping services, private and junior group lessons. Please visit us for all your golfing needs or call us at (814) 466-7231!